A judge will determine whether blues guitarist Robert A. Johnson owned the guitar when he donated it to a museum last year. 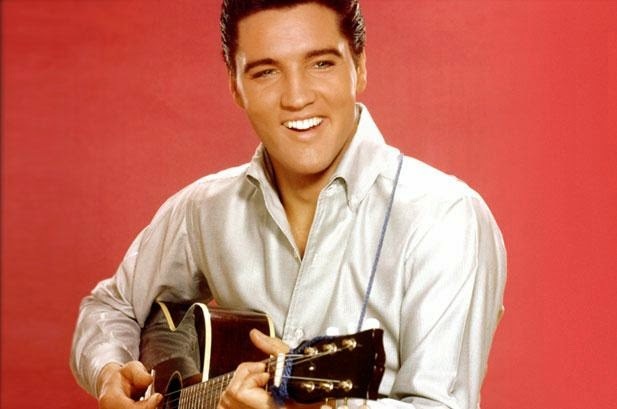 A man who donated to a South Dakota museum a slightly damaged acoustic guitar played by Elvis Presley that is at the center of a custody battle insisted Thursday he had the right to give it away because he owned it. The instrument's fate is now in the hands of a federal judge in South Dakota tasked with determining whether blues guitarist Robert A. Johnson owned the guitar when he donated it to the National Music Museum last year along with a guitar made for Johnny Cash, one of Bob Dylan's harmonicas and other objects. The museum, located in Vermillion, S.D., insisted in a federal lawsuit last week that it is the legal owner of the broken Martin D-35, which "The King" played during his 1977 tour and gave to a fan in St. Petersburg, Florida after a strap and string snapped. But collector Larry Moss argues that Johnson agreed to sell the guitar to him before it was donated. Johnson and Moss, both of whom live in Memphis, Tenn., are each listed as defendants in the museum's complaint. Moss had the opportunity to buy the guitar in 2007 but did not pay for it in full, Johnson told the Associated Press Thursday. "Since Larry Moss never paid for the guitar, I had the right to donate the guitar." A payment agreement dated in 2008 shows that Moss agreed to pay Johnson $120,000 for various guitars including the one in dispute. The agreement is part of the exhibits filed in a libel and defamation lawsuit that Johnson initiated against Moss in state court in Tennessee in January. The court records also include a check Moss wrote to Johnson for $70,000 in connection with the payment agreement, as well as an email Moss sent to the museum in December 2013 claiming ownership. Federal court records show Johnson has not responded to the lawsuit in South Dakota as of Thursday. Johnson's attorney did not return a call seeking comment Thursday. In court filings, the museum argues that even if Moss was the owner of the Elvis guitar before Johnson donated it to the facility, his ownership ended when the museum acquired it. The complaint states that if Moss feels he was wronged, he should sue Johnson for damages. "Johnson had possession and control of the guitar apparently for many years during which time Moss purports to have been the owner of the guitar, yet Moss took no action to assert his alleged rights in the guitar," the museum's attorney, Mitchell Peterson, wrote in the complaint. On loan from Johnson, the broken instrument was on display for about two years beginning in late 2008 at the Memphis Rock 'n' Soul Museum. Johnson, who played with singer Isaac Hayes and the band John Entwistle's Ox in the 1970s, donated the Elvis guitar and other items to the museum in April 2013. At the same time, he received $250,000 for his 1967 Gibson Explorer Korina wood guitar, formerly owned by Entwistle, who is best known as a member of The Who.